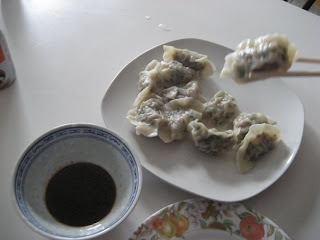 My girlfriend decided to make dumplings over the weekend. The ingredients were pork, shrimp, and vegetables. All of those were already available at home. The only thing we needed was to buy the dumpling wraps and the dumpling sauce for a total of $5. We made around 40 dumplings and finished them all. They were delicious. 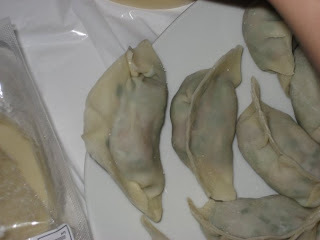 I even helped in making one dumpling, the one on the left in the second picture above. Looking good, right?